Beauty Tips: Red Lips / Gee Whiskers! 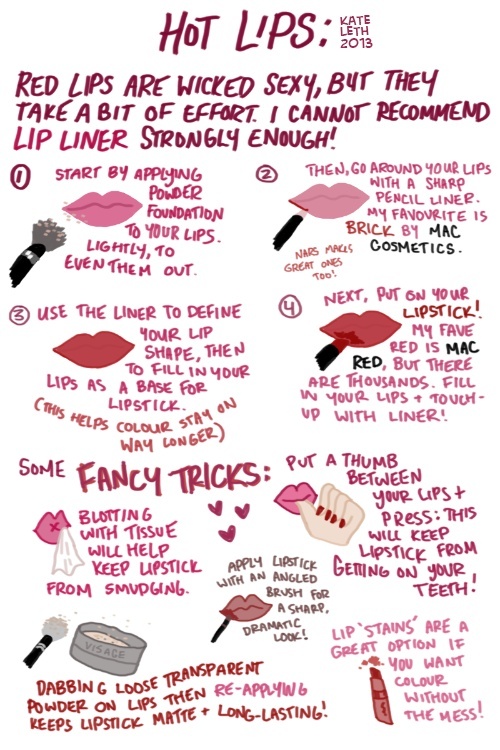 I saw this image on Pinterest and just had to share it on my blog because it is something you can your for any bright lip colour. It's also bright and fun to look at.